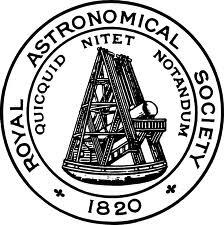 With every coming year comes the Royal Astronomical Societies National Astronomy Meeting, where astronomy and astrophysics groups from every UK University are welcomed to present their work across all fields of astronomy. This year the annual yell of astronomers assemble called us to St Andrew’s, where we were greeted with beautiful sunshine and the guarantee that it was like that all the time, and with the exception of Tuesday it was. NAM 2013 brought together over 600 astronomers to nearly 40 parallel sessions over the first five days of July. With additional specialized lunches and social events including Scottish whisky tasting and a traditional ceilidh at the Old Course Hotel. There was also some time to have a look around the cathedral, castle, and even having a go on 'The Himalayas' putting green. The Himalayas putting green - if the aim is to get the highest score I definitely won. To cater for all fields of astronomy covered across the UK the sessions are run in parallel, with up to 8 running at the same time. Your choice then is, what session to go to. There will normally be at least 3-4 sessions covering a specific field of astronomy, with other having perhaps more tenuous links to your field of study. But when your line of study is not specifically catered for there is always something new and exciting you can learn. The shear variety of research covered by conferences like NAM give new researchers a great opportunity to present their work without as much pressure as you might get at a more specialized conference. This relaxed atmosphere also welcomes public astronomers to specialized outreach sessions allowing them to share their hard work and innovative ideas about getting the word out that astronomy is awesome. So with the Exoplanet sessions confined to the last two days of the week to accommodate those in Europe at another meeting I had three days to scoot around the other sessions and see what I could learn. During the week I the took the opportunity to sit in on some sessions where my friends were presenting their work, from galactic population studies with GalaxyZoo, computer simulations of forming stars in large molecular clouds, to a detailed look at events on our own sun. That doesn’t even cover the array of topics covered by friends and colleagues during the four exoplanet sessions held across Thursday and Friday. The one thing that sticks out in my mind still, due to the punchline it presents was, “The sun is round,” or rather that stars sometimes are not. Due to the spin rate of some stars and the fluid nature of the plasma stars can be flattened out like the bulge of a spinning top with the radius at the equator nearly 50% larger than that toward the poles. So if you want a flat Earth we would have to rotate over 800 times faster about our axis, reducing our day down to 1.8 minutes, not very likely we would survive that one. NAM 2014 is going to be held at Portsmouth so I might see you there. So have fun and always remember to look up.